I started this blog just under a year and a half ago not knowing where it was going to take me. My purpose for starting this blog was to share my passion for quilt making with others who shared the same passion. 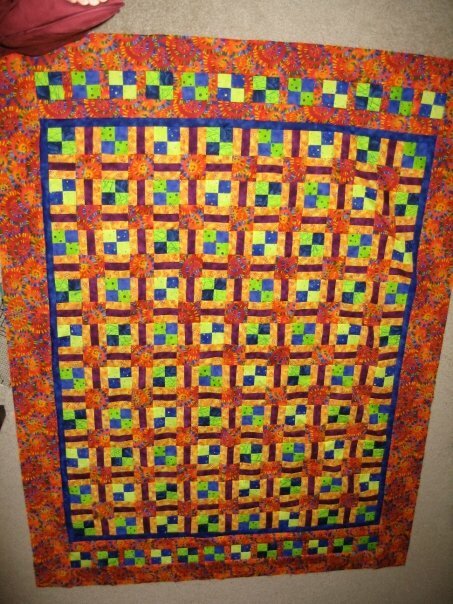 I started it during a week long vacation after Christmas when I had a bunch of time to quilt. I didn't know how often I was going to be able to blog, what I would continue to blog about, but I wanted in on blogging. 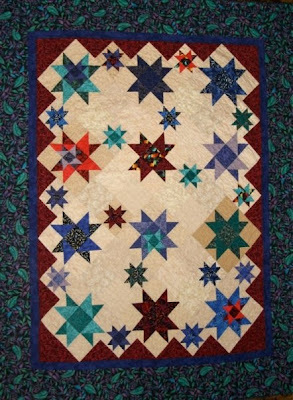 Over the past year and a half I have found some amazing quilting blogs that include talented quilters, designers, and companies. I always liked to stay current with the latest trends, but it wasn't until I started blogging that I really felt like I was current with the trends. I never would have known the big designers, hottest lines, and all of the great bloggers out there. I want to take this opportunity to thank all of the fantastic bloggers out there that inspire me on a daily basis. As I mentioned, when I started this blog I didn't know where it was going. I didn't know how often I would be able to post. I didn't know what I would post about. 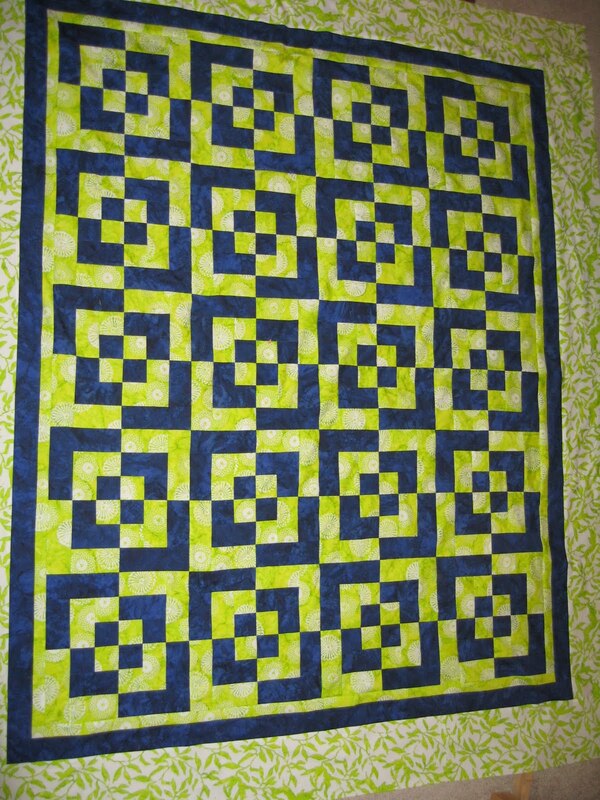 I didn't even know how much time I would be able to dedicate to quilting. But writing this blog has helped me to quilt more. My passion grew quite a bit after starting this blog. After seeing all of the fabulous work that is out there, I've been inspired by color trends, patterns, fabric lines, and most importantly, to step away from a pattern and do my own thing. 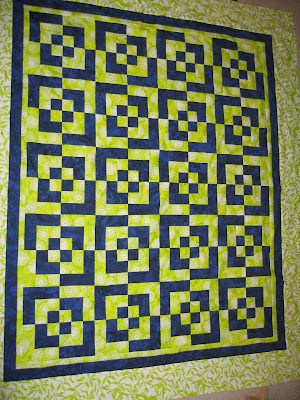 Since doing this blog I've designed two quilts on my own (I've only showed one though) and am in the process of designing another, although that one has been pushed aside right now. I wish I had the time to post more, but I've come to the realization that I can only post an average of 4 times a month. With a full time job and so much going on in my life, I don't have as much time as I'd like to quilt, but I do so whenever I get the chance. I look forward to another 100+ posts. Over then next week (don't hold me to it) I'd like to post a giveaway as a thank you to my followers.